Offering a very central location, Empire Studio Apartments is in Malta's lively Paceville area. It offers air-conditioned studios with free internet, kitchenette and private bathroom. The Empire includes a multi-level bar and popular nightclub. 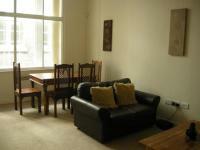 2 bed self-catering apartment (Sleeps 7). 2 minutes' via taxi to Kings Cross/ St Pancras or 5 min. via bus or 15 min. walk. Camden Market is 16 min. walk and only 25 min. walk to Regents Park and London Zoo. Buckingham Palace, Big Ben, Westminster Abbey, Tower Of London, Oxford Street, Selfridges, Mayfair, Piccadilly Circus, Marble Arch & Hyde Park are less than 20 minutes via Underground. Ideal for couples, groups & young families.